Angelic Falls (Angel Waterfall) – above the waterfall in the world there! 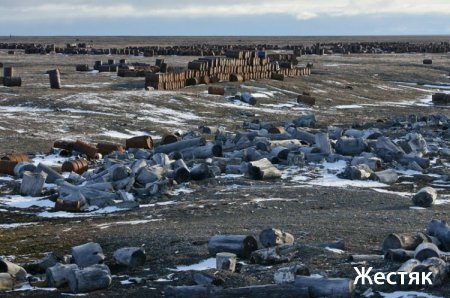 When traveling to the Arctic coast of the country, the first thing that greets you – the endless piles of garbage and placer rusty barrels to the horizon. 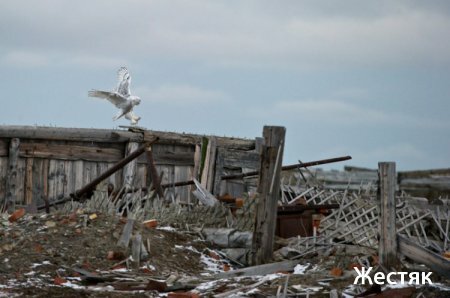 Runways in the Arctic – is the military, and the military in the Arctic – is primarily a giant landfill. 2. 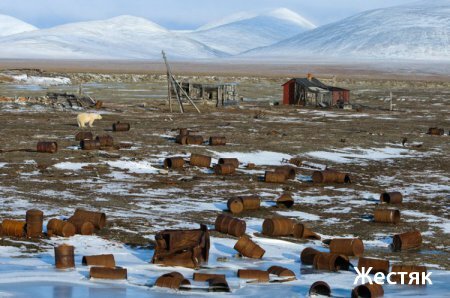 However, not only the military – any attempt to industrialization polar areas were accompanied by a monstrous contamination of the territory. 3. 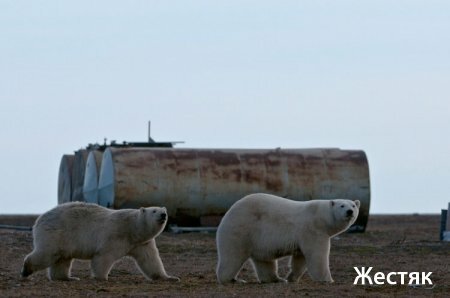 "Wrangel Island", another called polar bear maternity ward. 4. 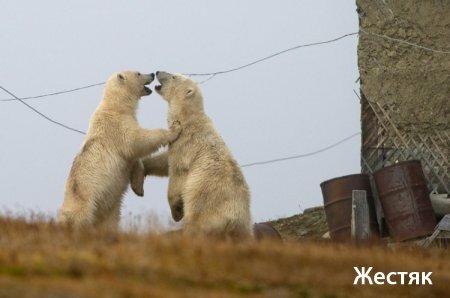 In addition to polar bears, there are large amounts of polar owls, geese, white, black geese, musk oxen, arctic foxes, walruses and other animals. 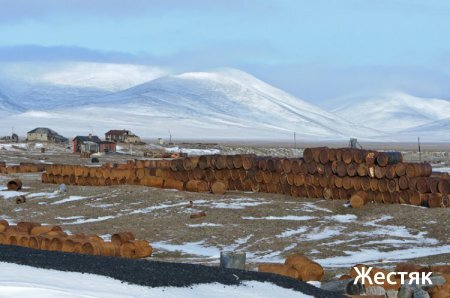 Today, preservation of natural complexes of the island is provided by the lack of population and geographical izolyatsiey.Odnako to the organization of the Nature Reserve area of the state tried to learn different methods: factory was set up, the separation of reindeer farm, an auxiliary military airfield and base defense. Each year, the island imported tons of fuel, a significant number of which spilled on the ground and in coastal waters, heavy machinery, tons of equipment for work, domestic and food security of the villagers with a population of 200 people. Nothing but personal property departing the mainland from the island were not taken out – all the waste, household garbage and unserviceable equipment remained at the landfill on the island. 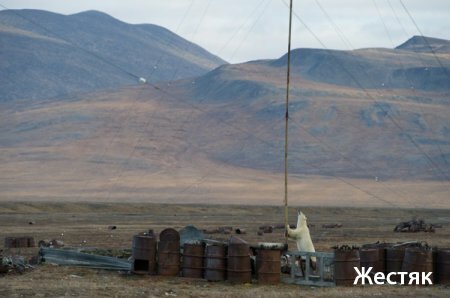 Wrangel Island is no exception, but just an example of our development of the North. 5. 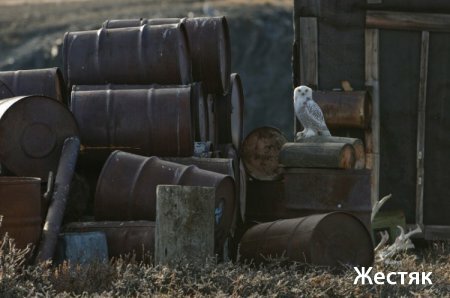 Partly partially empty barrels were exported for scrap metal: all the same ships that deliver goods to the north, go back empty. But even the export of scrap unprofitable: to exit even to zero, the barrel should initially compressed on the shore, and presses there is usually no. 6. 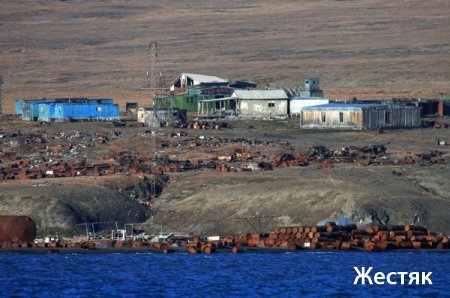 Wrangel Island scrap metal is concentrated on the southern coast, in places where previously there were different organizations: the airport, the base defense, Hydromet weather station, border post and the village Ushakovskoe. 7. Currently, most of the barrels and tanks became useless. They left tens of tons of petroleum products (gasoline, oil, diesel fuel). 8. 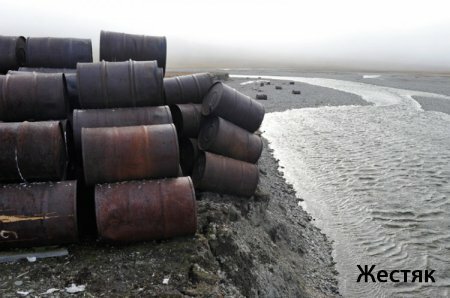 From the rusted barrels resets these substances on the ground, leading to contamination of the protected area. 9. Part of the drums has been stockpiled and thrown to the sea and spits on the banks of rivers. 10. Blurring these braids and increased storm run-off results in a barrel in the sea, in the future they washed ashore in various parts of the island. 11. 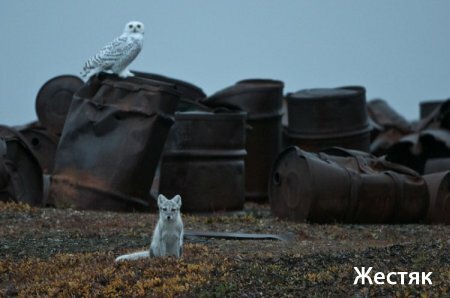 Besides the drums and industrial waste, the Russian Arctic and contaminated objects more dangerous: all along the Northern Sea Route in a derelict state has hundreds of nuclear power sources – RITEG'ov used in the Soviet era to supply navigation equipment such as lighthouses. 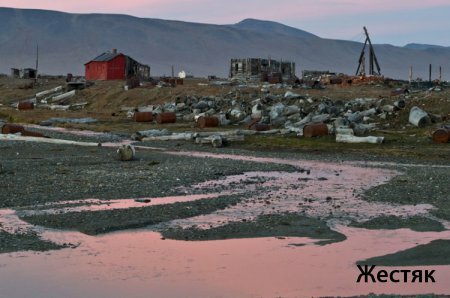 The fuel they use strontium-90, a deadly isotope which preserves the danger a thousand let.Na Wrangel Island similar radioactive power source was washed away by the sea in the Bay of Rogers. On their own, take out the sources is not possible, moreover, it is also extremely dangerous. To search for and removal of RTGs required underwater diving and helicopter rental. In 2008, letters were written to Rostekhnadzor, but no response to the letters sent out were received. In the case of the destruction of the body RITEG'a possible radioactive contamination of the marine protected area. 12. 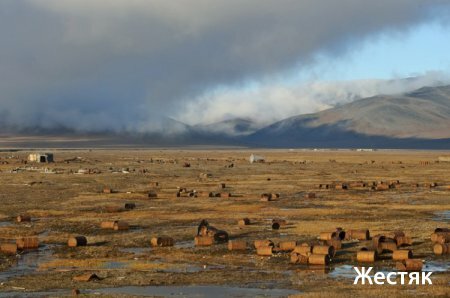 In 2004 Wrangel Island was given the status of a World Heritage Site with one condition – cleaning the site from scrap metal and technical debris. 13. 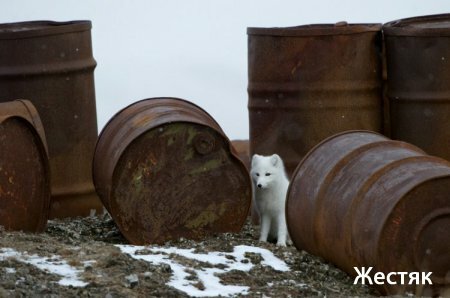 Allowed to keep only a small part of the historical sites are not polluting the protected area, as monuments of the Arctic. 14. Reserve staff on measures of forces and capabilities have been working to clear the area – take out the empty barrels to storage areas. Part of barrels exported drive-helicopter flights to the mainland, but it is a drop in the ocean. 15. Their funds in the reserve is not enough. Reserve staff are ready to prepare the base, develop technology, start pressing and storage of scrap metal for further exports, but the press is not. There is only a small tractor, but it is already an achievement. This entry was posted on Monday, September 2nd, 2013 at 1:11 pm	and is filed under Other. You can follow any responses to this entry through the RSS 2.0 feed. You can leave a response, or trackback from your own site.